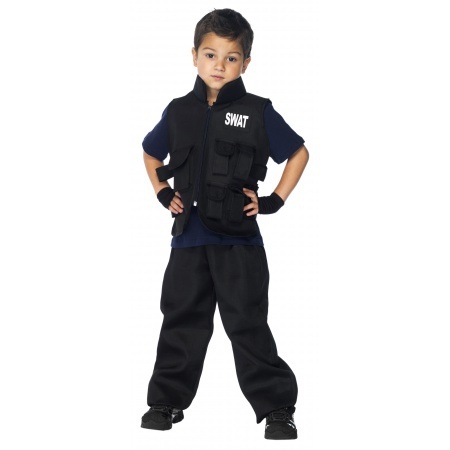 This kids SWAT costume includes a SWAT utility vest with badge detail and fingerless gloves. The kids SWAT costume comes in child sizes Large, Small, Medium. This SWAT commander costume for kids is great for dress up and imaginitive play. 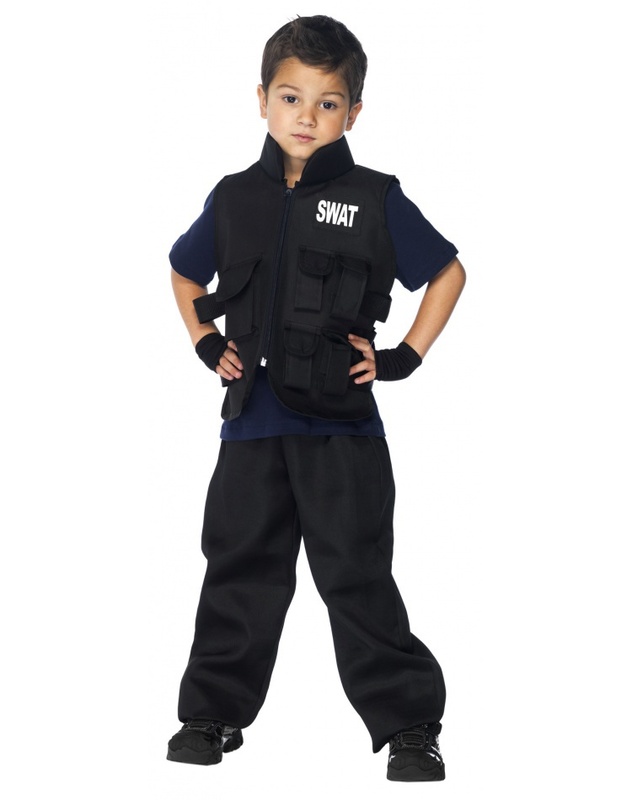 This child SWAT police Halloween costume does not include the shirt, shoes or pants.